He is the director of the Center for the Utilization of Biological Engineering in Space (http://cubes.space). 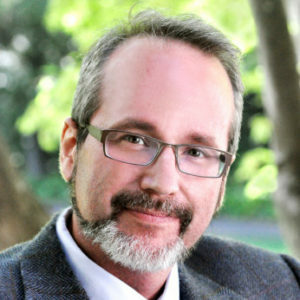 He is also the chief scientist of the Department of Energy Scientific Focus Area, ENIGMA (Ecosystems and Networks Integrated with Genes and Molecular Assemblies, http://enigma.lbl.gov), designed to understand, at a molecular level, the impact of microbial communities on their ecosystems with specific focus on terrestrial communities in contaminated watersheds. 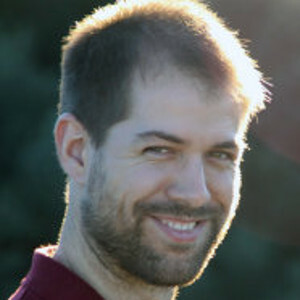 He directs the Department of Energy Systems Biology Knowledgebase (KBase) program (http://kbase.us) an open platform for reproducible comparative functional genomics, systems and synthetic biology for microbes, plants and their communities, and for sharing results and methods with other scientists. 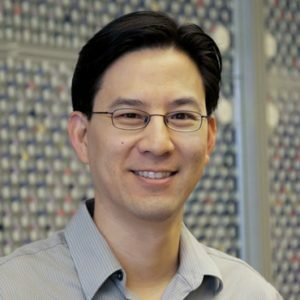 Finally, he is the Co-Director of the Berkeley Synthetic Biology Institute, which brings together U.C. Berkeley and Lawrence Berkeley National Laboratory Scientists with Industry Partners to forward technology and applications for sustainable biomanufacturing. Many key phenotypes we would like to engineer into organisms are multigenic and have complex dependencies on host physiology and environmental parameters. Examples include microbes designed to for production of biofuels in from variable and dirty feedstocks, to organisms engineered to support plant growth or human health. To discover the genetic determinants of both survival and activity in complex natural environments and thence to stack these traits we have adapted and scaled a number of high throughput genetic technologies. For discovery, we have developed and applied approaches ranging from a novel approach to bar-coded insertion mutagenesis, through genetic interaction mapping using CRISPRi, to extreme QTL mapping and shown how to map the significance of every gene in an organism to survive and activity in diverse environments. For some of these we have demonstrated the utility across a wide diversity of microorganisms. We then apply multiplex engineering methods to optimize phenotypes by expression engineering of multiple genes. Here we demonstrate the use of this workflow to dissect traits across diverse bacteria and fungi and to engineer better fuel production in inhibitory hydrolysates for bacterial and fungal biofuel strains. If one wishes to deploy an organism in the environment or a plant/animal host one most take into account both the challenges and power in the microbial consortia that inevitably preexist in these locations. Here we will discuss dissection and assembly of natural and artificial consortia of microbes and phage and their possible engineering for various applications. Andrea Califano is the Clyde and Helen Wu Professor of Chemical Systems Biology at Columbia University Medical Center. 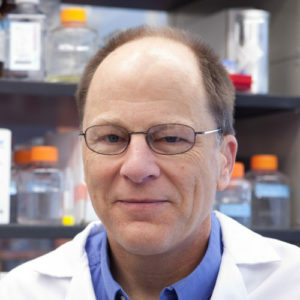 He is the Founding Chair of the Department of Systems Biology, Director of the JP Sulzberger Columbia Genome Center, and Associate Director for Bioinformatics of the Herbert Irving Comprehensive Cancer Center, and also holds appointments in the Department of Biochemistry & Molecular Biophysics and Department of Biomedical Informatics. After completing a doctoral thesis in physics at the University of Florence, Italy, Dr. Califano worked at the IBM TJ Watson Research Center, where he became involved in computational biology in 1990. In 1997 he became program director of the IBM Computational Biology Center. In 2000 he co-founded First Genetic Trust, Inc. to pursue translational genomics research. Finally, he joined Columbia in 2003. Dr. Califano is very active nationally, serving on numerous editorial and scientific advisory boards, including the Board of Scientific Advisors of the National Cancer Institute, St. Jude Children’s Hospital, The MIT Koch Cancer Center, Cancer Genetics Inc., and Thermo Fisher Scientific Inc., among others. He has served as chair or co-chair of many international conferences and meetings, including the annual meeting of the American Association for Cancer Research (AACR); the RECOMB-ISCB Conference on Regulatory and Systems Genomics, with DREAM Challenges; Keystone Conferences; as well as several special conferences of the AACR on genomics and cancer systems biology. In this lecture we will discuss the design of algorithms for the dissection of regulatory networks, including ARACNe, for the reverse engineering of transcriptional networks, MINDy, for the reverse engineering of signal transduction networks, and PrePPI for the dissection of protein-protein interaction networks using protein structure information. We will then address the use of regulatory networks inferred by these algorithms to elucidate master regulator proteins that mechanistically control the transcriptional state of the cell, using the VIPER algorithm, elucidating genetic and epigenetic variants contributing to the aberrant activity of master regulator proteins, using the DIGGIT algorithm, and using network based methodologies to elucidate drug mechanisms of action, with the VIPER and DeMAND algorithms. Finally, we will discuss how integrative use of multiple algorithms can be used to dissect the mechanism of action of specific proteins of interest, such as KRAS, using the OncoSig algorithm. In this second lecture we will discuss how network-based methodologies can be used to systematically identify, validate, and pharmacologically target of a new class of therapeutic targets represented by Master Regulator proteins, whose concerted aberrant activity within tightly regulated modules (tumor checkpoints) is responsible for the mechanistic implementation and maintenance of specific tumor cell states. These methodologies have led to development of two NY CLIA certified tests, OncoTarget and OncoTreat, that leverage large-scale drug-perturbation assays to systematically identify drugs and drug combinations whose mechanism of action is specifically effective in abrogating the activity of individual aberrantly active proteins or of entire tumor checkpoints, on an individual patient basis. We will specifically discuss how these methodologies have been used to create a new class of RNA-based, N of 1 clinical trials for patients with aggressive malignancies who failed to respond to multiple lines of therapy. Finally, we will discuss how these approaches can be used to target tumor heterogeneity, as manifested by tumor cells with distinct transcriptional states within the same tumor mass. For instance, we will discuss targeting the mesenchymal and proneural states of glioblastoma at the individual cell level as well as the stem-like progenitor cells in breast cancer patients. 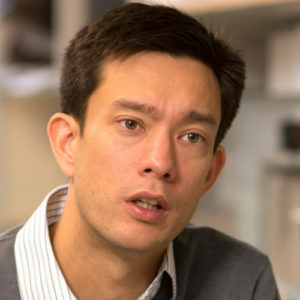 Jason Chin is currently a Programme Leader at the Medical Research Council Laboratory of Molecular Biology (MRC-LMB), where he is also Head of the Centre for Chemical & Synthetic Biology (CCSB). He is Professor of Chemistry & Chemical Biology at the University of Cambridge, and holds a joint appointment at the University of Cambridge Department of Chemistry. He is also a fellow in Natural Sciences at Trinity College, Cambridge. Jason moved to Cambridge in 2003. From July 2003 to early 2007 he was a tenure-track group leader at MRC-LMB. He became an EMBO Young Investigator in 2005 and a tenured group leader in 2007. He was awarded the Francis Crick Prize by the Royal Society in 2009 and the Royal Society of Chemistry’s Corday Morgan Prize in 2010. He was also awarded the European Molecular Biology Organization’s (EMBO) Gold Medal and elected to EMBO membership in 2010. He is the inaugural recipient (2011) of the Louis-Jeantet Young Investigator Career Award, selected from amongst winners of ERC grants. He was inducted into the European Inventors Hall of Fame in 2013 and was elected a Fellow of the Academy of Medical Sciences in 2016. In vitro directed evolution allows biomolecules with new and useful properties to be engineered—mimicking natural evolution on an experimentally accessible time scale by creating large libraries of DNA mutants using PCR and then carrying out a high-throughput assay for variants with improved function. To provide a breakthrough in the complexity of libraries that can be readily searched experimentally for synthetic biology and to allow systems to be directly engineered in the cell, my laboratory is engineering S. cerevisiaeso that both the mutagenesis and selection steps of directed evolution can be carried out entirely in vivo, under conditions of sexual reproduction. We have built a modular chemical complementation assay, which provides a selection for diverse chemistry beyond that natural to the cell using themes and variations on the yeast two-hybrid assay. In addition, we devised a heritable recombination system, for simultaneous mutagenesis and selection in vivounder conditions of sexual reproduction. Finally, we have begun to utilize these mutagenesis and selection technologies to engineer yeast to carry out new functions themselves ranging from being a biosensor, to a therapeutic, to a self-organizing community. The minimal cell is the hydrogen atom of cellular biology. Such a cell, because of its simplicity and absence of redundancy would be a platform for investigating just what biological components are required for life, and how those parts work together to make a living cell. Since the late 1990s, our team at the Venter Institute has been developing a suite of synthetic biology tools that enabled us to build what previously has only been imagined, a minimal cell. Specifically, a bacterial cell with a genome that expresses only the minimum set of genes needed for the cell to divide every two hours that can be grown in pure culture. That minimal cell has about half of the genes that are in the bacterium on which it was based, Mycoplasma mycoides JCVI syn1.0, the so-called synthetic bacteria we reported on in 2010. We used transposon bombardment to identify non-essential genes, and genes needed to maintain rapid growth in M. mycoides. Based on those data, we designed and synthesized a reduced genome in eight overlapping segments. All segments were individually viable when combined with wild type versions of the seven other segments. Combinations of reduced segments that were not viable allowed us to identify synthetic lethal pairs of genes. These occur when two genes each encode an essential function. Those findings required re-design and re-synthesis of some reduced genome segments. Three cycles of design, synthesis, and testing, with retention of quasi‐essential genes, produced synthetic bacterium JCVI‐Syn3.0 (531 kb, 474 genes), which has a genome smaller than that of any autonomously replicating cell found in nature. Synthetic bacterium JCVI-Syn3.0 retains almost all genes involved in synthesis and processing of macromolecules. Surprisingly, it also contained 149 genes with unknown biological functions, suggesting the presence of undiscovered functions essential for life. This minimal cell is a versatile platform for investigating the core functions of life, and for exploring whole‐genome design. Since it was initially reported in 2016, we have identified functions for about 50 of the original 149 genes of unknown function and are in the process of developing a computational model of the cell. This work was supported by Synthetic Genomics, Inc., DARPA Living Foundries contract HR0011-12-C-0063, and the J. Craig Venter Institute. In recent years, the JCVI Synthetic Biology team, which is best known for construction of bacterial cells programmed with synthetic genomes, has also taken on projects that required synthesis and booting up of small and large viral genomes, grand scale genome engineering of yeast chromosomes, and design, synthesis, and installation of human artificial chromosomes. Many of the methods we employed for these projects were derived from lessons learned through our project to makes the aforementioned synthetic bacterial and minimal bacterial cell. Other approaches had to be developed just for these eukaryotic genome and chromosome projects. I will present four vignettes about our sometime successful and sometime unsuccessful efforts. Philip Kumar Maini is a Northern Irish mathematician. Since 1998, he has been the Professor of Mathematical Biology at the University of Oxford and is the Director of the Wolfson Centre for Mathematical Biology in the Mathematical Institute. After various postdoctoral research and teaching positions at Oxford and the University of Utah, he became director of the Wolfson Centre for Mathematical Biology in 1998, then Statutory Professor in Mathematical Biology and professorial fellow of St John’s College, Oxford in 2005. 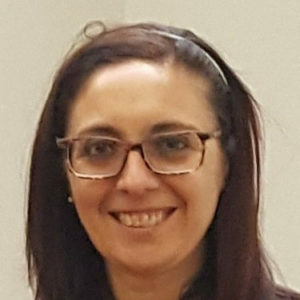 Maini’s research includes mathematical modelling of tumours, wound healing and embryonic pattern formation, and the theoretical analysis of these models. He has supervised/co-supervised 58 PhD students. Maini was elected a Fellow of the Royal Society (FRS) in 2015. Maini was an elected member of the boards of the Society for Mathematical Biology and the European Society for Mathematical and Theoretical Biology. He is a Fellow of the Institute of Mathematics and its Applications (IMA), the Society for Industrial and Applied Mathematics (SIAM), and the Society of Biology, and is a corresponding member of the Mexican Academy of Sciences. He has held visiting positions at universities worldwide. 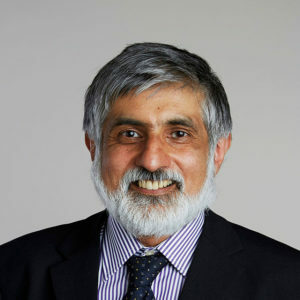 Maini co-authored a 1997 Bellman Prize-winning paper and received a Royal Society Leverhulme Trust Senior Research Fellowship and Wolfson Research Merit Award, and the London Mathematical Society Naylor Prize. Understanding how behaviours at one scale emerge from interactions at another scale is a central theme in mathematical biology. These lectures will focus on this problem in the context of collective cell migration. This first lecture will develop a hybrid agent-based model for cranial neural crest migration in normal development. The model will consist of a partial differential equation to describe the diffusion and kinetics of a signalling growth factor, VEGF, and a discrete model to describe the motion of cells in response to VEGF signals. The model is used to test a number of hypotheses on how this system can yield migration of cells at the population level and model predictions are validated by experimental studies. Angiogenesis is the process by which the body forms new blood vessels. This can occur as part of wound repair, or in response to a solid tumour requiring more nutrient. This lecture will describe the multitude of ways in which this process can be analysed with a series of models of increasing complexity. Since the 1970’s, scientists have had the ability to change the genes of an organism– in fact, we’ve gotten pretty good at doing so! This allows us to make organisms do work for our benefit- from making medications to manufacturing materials for us. Work in the Polizzi’s Lab has two goals. First, we try to develop proteins that can give us a window to what is going onside in an organism by turning colours to warn us when things have gone wrong inside the cell. Second, based on that coloured signal, we try to add genes to the organism that help us correct the problem. Our ultimate goal is to develop self-correcting organisms. This lecture will introduce the principle of genetically-encoded biosensors and their applications in synthetic biology. The various types of detection elements that can be used (nucleic acids, proteins, and whole-cells) and the advantages and disadvantages of different circuit designs will be discussed. Examples from the recent literature will be used to illustrate the principles of biosensor design with particular focus on microbial biosensors. This lecture follows on from part 1 to discuss the key performance characteristics of a genetically-encoded biosensor including signal-to-noise ratio, sensitivity, and dynamic range, as well as the design features that can be used to modulate these characteristics. Basic models of biosensor circuits will also be covered to enable students to gain an understanding of how these can be applied to design of a biosensor based on specifications of its function. William is overseeing an effort to apply Synthetic Biology approaches to the development of self-assembling DNA nanostructures and devices for use in biomedical applications. In addition to carrying genetic information, DNA is increasingly being explored for its use as a building material. This new process is called DNA origami because a long strand of DNA can be programmed to fold in on itself to create specific shapes, much as a single sheet of paper is folded to create a variety of designs in the traditional Japanese art. Using long biologically produced DNA strands to construct particles with precisely specified shapes, William is able to approximate a level of complexity that rivals that of the molecular machinery found in cells. To achieve structures of even greater complexity, his laboratory is pioneering methods for hierarchical assembly of these particles into three-dimensional networks with site-specific control over chemical functionalization and mechanical actuation. This work could lead to breakthroughs in manufacturing and medicine. For example, these incredibly tiny forms could be used as cogs in a machine for molecular manufacturing, optical reporters for bioimaging, and carriers for delivery of cancer drugs deep inside the body. Working in Programmable Biomaterials at the Wyss, William most recently created nanodevices made of DNA that self-assemble and can be programmed to move and change shape on demand. In contrast to existing nanotechnologies, these programmable nanodevices are highly suitable for medical applications because DNA is both biocompatible and biodegradable. William is a Professor in the Department of Biological Chemistry and Molecular Pharmacology at Harvard Medical School and the Department of Cancer Biology at the Dana-Farber Cancer Institute. In 2008, William received a New Innovator Award from the National Institutes of Health, and in 2013, he was named as a Blavatnik National Awards Finalist. DNA origami, in which a long scaffold strand is assembled with a large number of short staple strands into parallel arrays of double helices, has proven a powerful method for custom nanofabrication. Although diverse shapes in 2D are possible, the single-layer rectangle has proven the most popular, as it features fast and robust folding and modular design of staple strands for simple abstraction to a regular pixel surface. Here we introduce a barrel architecture, built as stacked rings of double helices, that retains these appealing features, while extending construction into 3D. We demonstrate hierarchical assembly of a 100 megadalton barrel that is ~90 nm in diameter and ~270 nm in height, and that provides a rhombic-lattice canvas of a thousand pixels each, with a pitch of 9 nm, on its inner and outer surfaces. Complex patterns rendered on these surfaces were resolved using up to twelve rounds of exchange PAINT super-resolution fluorescence microscopy. We envision these structures as versatile nanoscale pegboards for applications requiring complex 3D arrangements of matter. One application I will discuss is the use of DNA barrels to scaffold the manufacture large lipid nanodiscs suitable for cryoEM structure determination of large membrane proteins and their complexes embedded in a native lipid bilayer environment. Jörg Stelling is an Associate Professor for Computational Systems Biology of the Swiss Federal Institute of Technology (ETH) in Zürich since April 2008. He was born 1969 in Hildesheim (Germany). From 1989 to 1996 he studied Biotechnology at the Technical University of Braunschweig, with an intermediary stay at the Ecole Normal Superieure d’Agronomie Montpellier. By the end of 1996, he started as a PhD student at the Systems Dynamics and Control group of the University of Stuttgart, before becoming one of the first employees of the newly founded Max Planck Institute for Dynamics of Complex Technical Systems, Magdeburg. There, Jörg Stelling was significantly involved in establishing the Department for Systems Biology. In that field he received his PhD in 2004 from the Department of Mechanical Engineering, University of Stuttgart; his PhD thesis devised new methods for the analysis of robustness in complex biological networks. In 2005, he joined ETH Zurich as an Assistant Professor for Bioinfomatics in the Computer Science Department. His current research interests are focused on the analysis and synthesis of biological networks using – and further developing – methods from systems theory and computer science. The highly interdisciplinary character of the research projects is reflected by an (international) network of collaborators from different disciplines. A key step for understanding heterogeneity in cell populations is to disentangle sources of cell-to-cell and intra-cellular variability. Single-cell time-lapse data provides potential means for this, but single-cell analysis with dynamic models is a challenging open problem. Most of the existing inference methods address only single-gene expression or neglect correlations between processes that underlie heterogeneous cell behaviors. The focus of the second lecture will be a simple, flexible, and scalable method for estimating cell-specific and population-average parameters to characterize sources and effects of cell-to-cell variability. The framework relies on non-linear mixed effects models of cellular networks, and its accuracy is demonstrated with a published model and dataset. An application to endocytosis in yeast demonstrates that dynamic models of realistic size can be developed for the analysis of single-cell data. Combined with sensitivity analysis for identifying which biological sub-processes quantitatively and dynamically contribute to cell-to-cell variability, this application shows that shifting the focus from single reactions or parameters to nuanced and time-dependent contributions of sub-processes helps biological interpretation. Systems and synthetic biology deal with substantial challenges due to uncertainty that more traditional disciplines such as physics or engineering do not face to the same extent. This has two main reasons: (i) despite the increasing availability of quantitative datasets, our knowledge about essentially all cellular networks is incomplete, regarding quantitative parameters and functional relations between components alike; and (ii) single cells exhibit variable behavior due to random effects, even in populations of genetically identical cells in a homogeneous environment. The first lecture will address how uncertainty in components and their interactions (i.e., biological hypotheses) is reflected in uncertain structures of mathematical models, which is a particular challenge for mechanistic, dynamic modelling. The focus is on computational methods for systematically representing uncertainty in dynamic mathematical models, either for inferring unknown quantities and mechanisms by combining models and data, or for deriving robust designs of synthetic gene circuits. Example applications include the inference of mechanisms of yeast nutrient signaling and the design of synthetic circuits with dynamic properties such as adaptation. 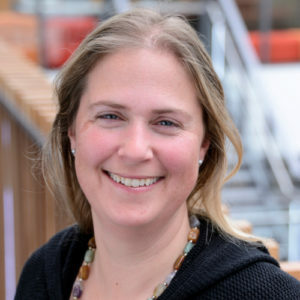 Sarah Teichmann FMedSci is Head of Cellular Genetics at the Wellcome Sanger Instituteand a visiting research group leader at the European Bioinformatics Institute (EMBL-EBI). She is also a Director of Research (equivalent to Professor) in the Cavendish Laboratory, at the University of Cambridge and a Senior Research Fellow at Churchill College, Cambridge. Teichmann was educated at the European School, Karlsruhe in Germany from 1981 to 1993 where she completed the European Baccalaureate in 1993.Teichmann went on to study the Natural Sciences Tripos at Trinity College, Cambridge and was awarded a first class Bachelor of Arts degree in 1996. In 1999, she completed her PhD supervised by Cyrus Chothia at the Laboratory of Molecular Biology (LMB) on genome evolution. 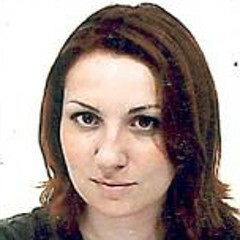 Following her PhD, Teichmann did postdoctoral research supervised by Janet Thornton at University College Londonand funded by the Beit Memorial Fellowships for Medical Research. From 2001-2012, she was a Medical Research Council (MRC) Programme Leader, studying patterns in protein interactions and transcriptional regulatory networks. Teichmann’s research investigates gene expression and protein complex assembly using both wet laboratory and computational biology techniques.Teichmann’s research has been funded by the European Research Council (ERC), the Medical Research Council(MRC), the Biotechnology and Biological Sciences Research Council (BBSRC), the Wellcome Trust, the European Molecular Biology Organization (EMBO), the Framework Programmes for Research and Technological Developmentand the European Cooperation in Science and Technology (COST). As of 2015 Teichmann has supervised several PhD students to completion and several postdoctoral researchers who have gone on to become Principal investigators (PIs). Teichmann has won a number of awards. In 2010, she was awarded Colworth Medal from the Biochemical Society. In 2012, Teichman was awarded the Francis Crick Medal and Lecture, membership of the European Molecular Biology Organization (EMBO) and the Lister Prize from the Lister Institute of Preventive Medicine. In 2015 she was awarded the Michael and Kate Bárány Award for young investigators by the Biophysical Society and the EMBO Gold Medal. Teichmann was elected a Fellow of the Academy of Medical Sciences (FMedSci) in 2015. 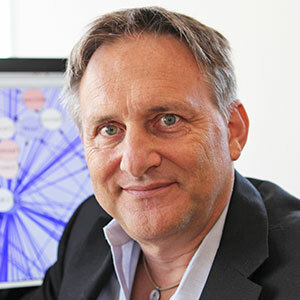 Teichmann was elected an ISCB Fellow in 2016 by the International Society for Computational Biology. 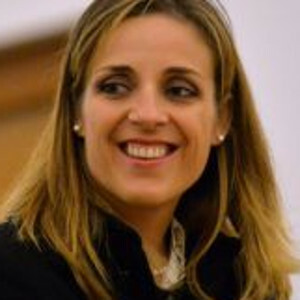 Danielle Tullman-Ercek is currently an associate professor at Northwestern University. After earning her B.S. 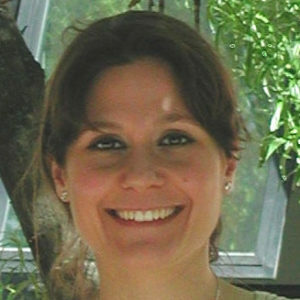 degree in chemical engineering, Tullman-Ercek began her Ph.D. at the University of Texas at Austin under advisor George Georgiou. Her dissertation focused on the pathway bacteria use to transport folded proteins across membranes, and how this pathway may be used in protein engineering applications. 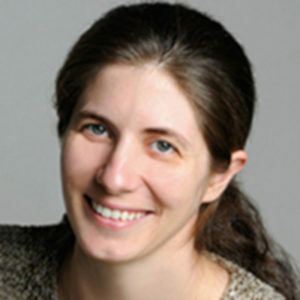 After earning her Ph.D. in 2006, Tullman-Ercek began her post-doctoral work at the University of California, San Francisco in the laboratory of Chris Voigt. Her primary project in the Voigt lab was the study of spider silk production and secretion in Salmonella. She also immersed herself in the challenges and potential of the field of synthetic biology. She continued her postdoctoral studies at the Joint BioEnergy Institute, working to improve enzymes that break down biomass for more efficient and economic biofuel production processes. 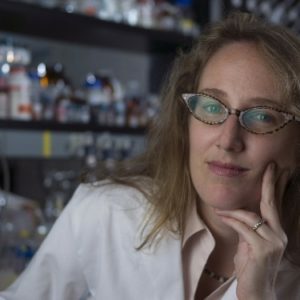 Tullman-Ercek joined the Department of Chemical and Biomolecular Engineering at UC Berkeley in 2009. 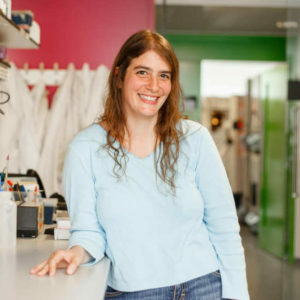 Inspired by her previous work, her research group focuses on engineering multi-component systems in biology – such as protein and small molecule secretion machinery and bacterial microcompartments – using tools and techniques from protein engineering and synthetic biology. The Tullman-Ercek’s Lab is interested in controlling the movement of materials across biological membranes, with a goal of enabling and enhancing the production of pharmaceuticals, biofuels, and materials in microbes. Manipulating the transport of electrons, small molecules, and even signals across these cellular boundaries is a vital component of most synthetic biology applications, and we are developing the tools and methods to engineer membrane proteins and other protein superstructures to meet this grand challenge. Self-assembling protein containers are promising delivery vehicles for cellular and gene therapy applications, but the ability to predict how mutations alter self-assembly and other particle properties remains a significant challenge. Here, we combine comprehensive codon mutagenesis with high-throughput sequencing to characterize the assembly-competency of all single amino acid variants of several self-assembling proteins, including those from a virus-like particle, a bacterial microcompartment, and a secretion system. The revealed a high-resolution fitness landscape that challenged several conventional protein design assumptions on the composition of linkers, mutability of pore-lining residues, and more. Using the same approach with additional comprehensive mutagenesis strategies and selective pressures on the virus-like particle identified several new variants that permit efficient chemical and post-translational modifications and have altered stability. For example, the wild-type virus-like particle is acid tolerant down to pH 2, but we identified a variant with a single point mutation that confers stability at neutral pH but acid-triggered disassembly. Acid sensitivity is highly desirable in targeted delivery to improve the efficiency of endosomal release. Additional insights will be shared, both from the virus-like particles and from the other two self-assembling model proteins. Protein production is a multi-billion dollar industry, with applications in pharmaceuticals, industrial enzyme use (eg in laundry detergent), and biomaterials. Bacteria are receiving renewed interest as protein production hosts because of their fast growth and tractability. The Salmonella enterica Type III Secretion System secretes non-native proteins at product titers of up to 400 mg/L in rich media, but is highly sensitive to environmental and growth conditions and therefore not robust. This system is nonetheless an ideal process for protein production applications because it is non-essential for bacterial metabolism and allows for target proteins to cross both bacterial membranes in one step, via characteristic needle-like protein structures. We engineered an optimized, more robust secreting strain of Salmonella for the high-titer production of a variety of biochemically challenging heterologous proteins, such as degradation-prone biopolymer proteins, antibodies, and toxic antimicrobial peptides. To do so required manipulating regulation, engineering the protein components of the apparatus, and optimizing media composition and growth parameters. Now that the system is producing protein at commercially-relevant titers and quality, we also established a process to demonstrate the new strain is “generally recognized as safe” (GRAS) so it can be applied across industries. Prof. Weiss is one of the pioneers of synthetic biology. He has been engaged in synthetic biology research since 1996 when he was a graduate student at MIT and where he helped set up a wet-lab in the Electrical Engineering and Computer Science Department. 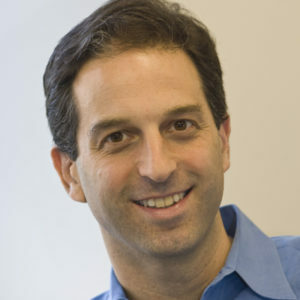 After completion of his PhD, Weiss joined the faculty at Princeton University, and returned to MIT to take on a tenured faculty position in the Department of Biological Engineering and the Department of Electrical Engineering and Computer Science. Research: Cells sense their environment, process information, and continuously react to both internal and external stimuli. The construction of synthetic gene networks can help improve our understanding of such naturally existing regulatory functions within cells. Synthetic gene networks will also enable a wide range of new programmed cells applications. The Weiss lab uses computer engineering principles of abstraction, composition, and interface specifications to program cells with sensors and actuators precisely controlled by analog and digital logic circuitry. Here, recombinant DNA-binding proteins represent signals, and recombinant genes perform the computation by regulating protein expression. The group constructed synthetic gene networks that implement biochemical logic circuits in Escherichia coli fabricated using the AND, NOT, and IMPLIES logic gates. The lab has built a variety of circuits, including a transcriptional cascade whose digital behavior improves significantly with the addition of genetic components. The group has also built analog circuits that perform signal processing to detect specific chemical gradients and generate pulses in response to cell-cell communication. The integration of digital and analog circuitry is useful for controlling the behavior of individual cells and the lab has also combined these circuits with engineered cell-cell communication to coordinate the behavior of cell aggregates. Rodrigo Ledesma-Amaro obtained his PhD at the University of Salamanca under the supervision of Prof. Jose Luis Revuelta, the head of the metabolic engineering group. The PhD thesis is about systems metabolic engineering of A. gossypii for the production of vitamins, nucleosides and lipids. It combines modeling, synthetic biology, systems biology and metabolic engineering techniques and it produced numerous research papers and industrial patents (being currently used by BASF). Before that, Rodrigo coursed an MSc in Microbial Biotechnology at the Universidad Autonoma de Madrid and two undergraduate degrees (Biotechnology and Chemical Engineering) at the University of Salamanca. During his PhD, Rodrigo was a visiting researcher at Prof. Jens Nielsen’s group at Chalmers University of Technology (Sweden), at Prof. Jean-Marc Nicaud at INRA (France) and at Prof. Kamisaka’s group at AIST (Japan). Rodrigo Ledesma-Amaro is leading a research group at the interface of synthetic biology and metabolic engineering. His research lab is based in the Department of Bioengineering and the Center for Synthetic Biology and Innovation at Imperial College London.